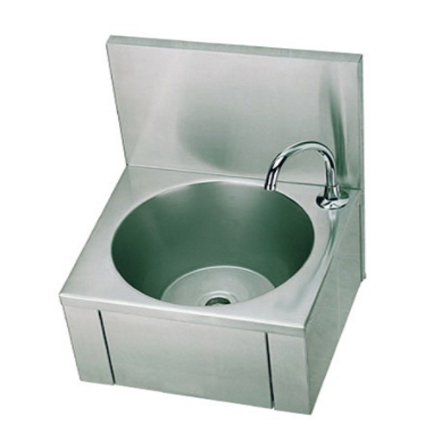 Envirosafe Ireland supply a wide range of Stainless Steel Washrooms and Sinks. To eliminate any possibility of cross contamination our stainless steel furniture and equipment are non particle shedding. All products are made from fully welded 304 grade stainless steel in a brushed dull polish finish. Our hands-free wash troughs are easy to use and very hygienic with the choice of ergonomic knee paddle or infra-red operation. Wall mounted or pedestal for floor fixing. Wide choice for better hygiene control. Also Equip with a sloped bowl for self-draining and minimal splashback. 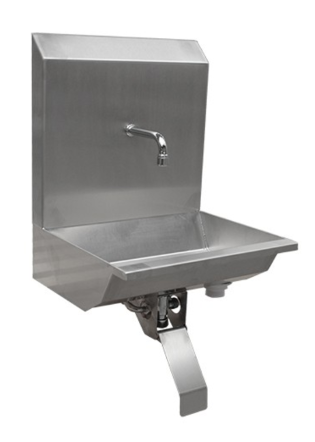 Our industrial grade sinks are supplied without taps unless stated otherwise. Hands free knee operated. 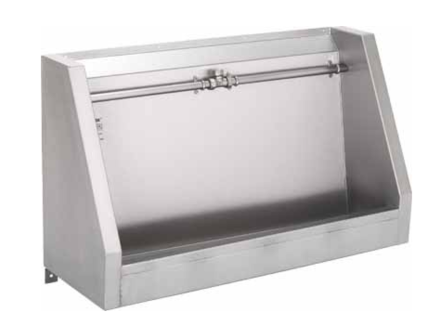 We supply a large variety of different sinks to suit individual needs. Our state of the art Pre-rinsers and taps are designed for perfect rinsing an cleaning of what ever you need cleaned. 3.6 litres a minute at 30 PSi. Comes with a variety of mounting options. Optional tap/faucet available. When it’s time for your own full wash-down, our hygienic shower towers get the job done – and they’re incredibly water-efficient. Our urinals are robustly designed, easy to clean and ready to plumb in. Choose from our space saving or standard models.